The LEGO flagship store at Rockefeller Center is a children’s delight. 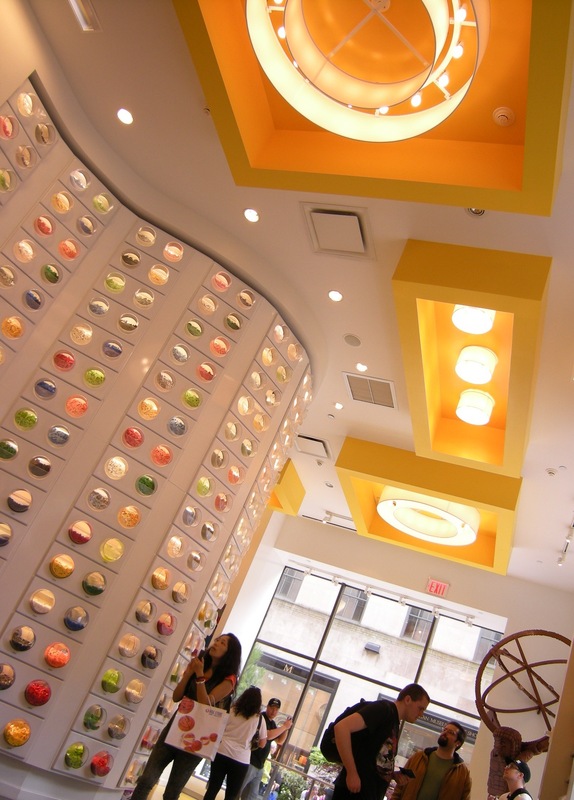 The design integrates the iconic brick building block throughout the store with a series of themed elements. There’s a play on scale ranging from super sized brick-as light-fixture on the ceiling, to a giant models of the Empire State building and a Big Apple made of thousands of toy bricks. 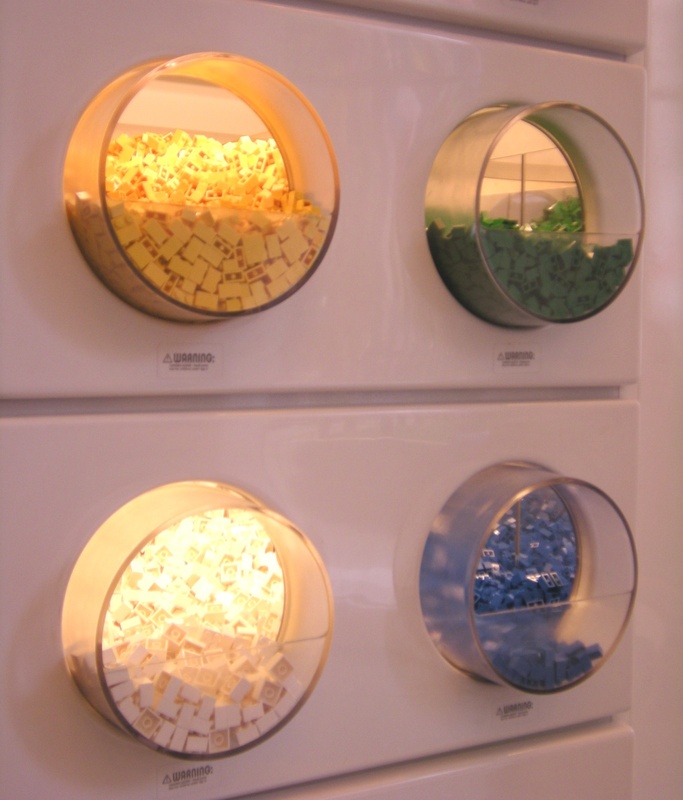 A giant fifteen foot high ‘Pick a brick’ wall contains self-serve clear acrylic bins that hold bricks sorted by color, size and shape. The primary color palette emphasizing yellow makes parents and enthusiasts feel like they are walking into and through a large LEGO exhibit merchandised more like a museum. A LEGO dragon weaves throughout the store, and a giant size master builder exhibit inspires the imagination of toy builders, young and old, everywhere. The store reminds visitors of a simpler era, in this age of Wii and PlayStation devices, LEGO’s still holds a child’s imagination with the possibility of building real tangible objects. But to remain relevant to a new generation of ‘Builders’ the store a has computer kiosks that allow gamers to check out the latest LEGO video’s. The Bottom Line: Flagship stores are important brand extensions and marketing opportunities for retailers. They provide customers the opportunity to see an entire product line and be entertained as well as educated about the retailer’s products. In the case of Rockefeller Center the excellent location, with its nineteen million visitors a year, makes the venue an important extension of the retails marketing campaign. The creative themeing of the space creates both a destination and a whimsical rest stop for those visiting the city.